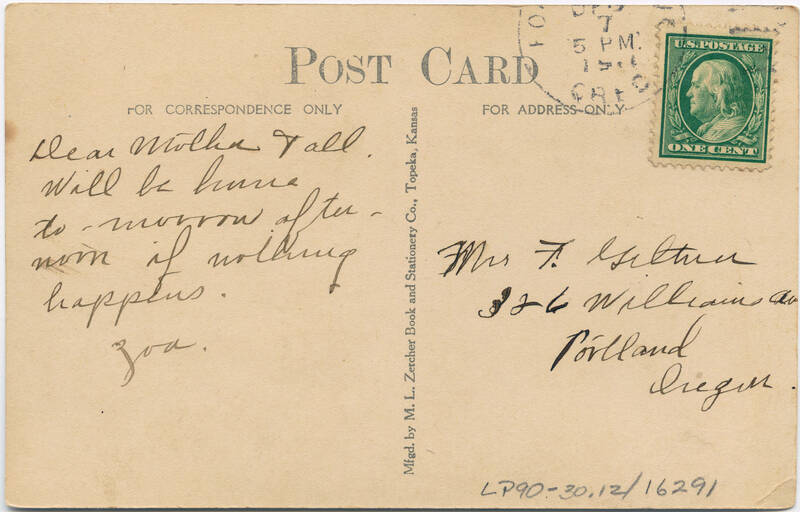 Postcard from Zora Giltner to her family. The postcard just gives notice that she will be traveling home. 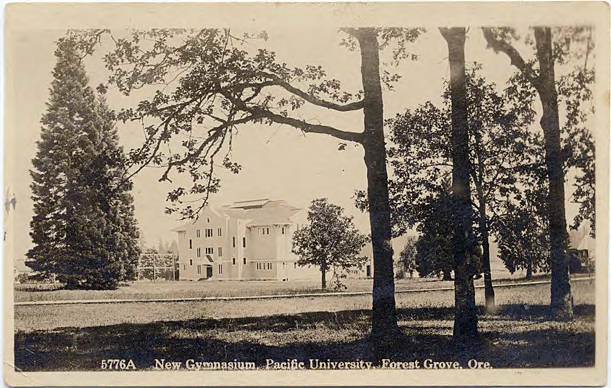 The front of the postcard shows the gymnasium at Pacific University, which opened in 1895.